The top stocks to watch today (Friday) are Chipotle Mexican Grill Inc. (NYSE: CMG), GoPro Inc. (Nasdaq: GPRO), and Shutterfly Inc. (Nasdaq: SFLY). Fewer earnings reports will be released today, but there will be a lot of U.S. economic data reports. Reports being released today include jobs, Markit services PMI, ISM services, factory orders, and durable goods. Look for these economic reports to move the markets. Chipotle stock is down 0.5% in early morning trading after releasing a disappointing earnings report. The company was expected to post earnings per share (EPS) of $0.56 and revenue of $1.04 billion. 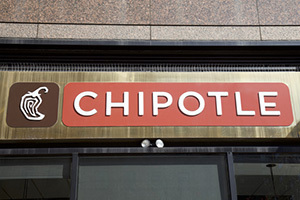 Chipotle reported EPS just under analysts' predictions at $0.55. Revenue was almost at expectations as well at $1.03 billion. While revenue increased 3.7% for Q4 over the same quarter last year, net income declined sharply. Net income for Q4 2016 was just $16 million compared to $67.9 million for the same quarter a year earlier. CMG stock is currently trading at $423.30 for a gain of 12% year to date (YTD). GoPro stock is down 13% in early morning trading after its earnings report missed analysts' expectations. The company reported EPS of $0.29, which was higher than the expected $0.22. Revenue fell way below expectations at $540.6 million versus the expected $574.54 million. GoPro's stock took such a hit after the disappointing revenue report because investors had been optimistic about the company and bid up the price over 23% in January. GPRO stock is currently trading at $10.97 for a gain of 26% YTD. Shutterfly stock is down almost 16% in early morning trading after releasing an earnings report that disappointed. The company announced EPS of $2.63 for a 26% decline over last year. Analysts projected Shutterfly would have EPS of $2.84. Net sales increased 2%, the slowest since Shutterfly's IPO in 2006, to $561.2 million. Estimates had the company's net sales at $584.4 million. Shutterfly's expectations for 2017 have EPS between $0.45 and $0.80. SFLY stock is currently trading at $43.70 for a loss of 13% YTD.